Biography: Nilay Deniz was born in 3 May 1993 in Aydin. Her father is also an actor. She took acting lessons in various theatres. She was discovered by producer/director Serdar Akar when she participated to an amateur beauty contest and after then, she started to take part in various television dramas. 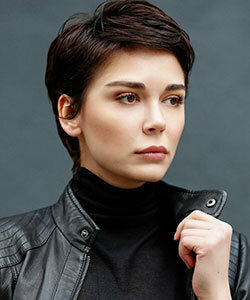 Nilay Deniz became well-known with her supporting role in Turkish drama Love Once Again (Ask Yeniden) and she became the lead character in Firefly (Ates Bocegi). Biography: Mustafa Ustundag was born in 11 February 1977 in Mersin. His mother is a housewife while his father is a worker at Anatolia Glass Factory (Anadolu Cam Sanayi Fabrikalari). He went to primary, secondary and high school in Mersin and then went to Istanbul to study at Conservatory. Since he used to speak with Mersin accent, he could not pass the entrance exam at first but he worked so hard for one year and managed to enter the Conservatory at his second attempt. After taking theatre lessons at Mujdat Gezen Art Center, Mustafa Ustundag started to work at Kocaeli Region Theatre (Kocaeli bolge Tiyatrosu), Kartal Sanat Isligi, MSM Actors, Pervasiz Theatre. 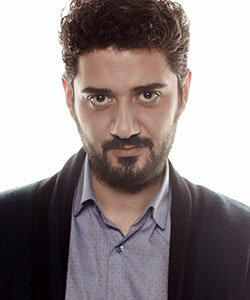 Mustafa Ustundag took part in various tv projects yet he became very popular with his role as Muro in Valley of Wolves Ambush (Kurtlar Vadisi Pusu). He portrayed successfully the cruel bully with comic attitudes. Biography: Nesrin Cavadzade was born in July 30, 1982 in Baku, Azerbaijan. She migrated to Istanbul, Turkey with her mother when Nesrin Cavadzade was 11 years old. She went to secondary school at Sisli Private Bilgi High School (Sisli Ozel Bilgi Lisesi). While she was going to high school, Nesrin Cavadzade joined into the theatre club and took part a theatre play named Turkmen Wedding (Turkmen Dugunu). She continued her education at Sisli Terakki High School. Nesrin Cavadzade also took acting lessons at Sahika Tekand Studio Oyunculari for 2 years. Nesrin Cavadzade knows Turkish, Russia, English and French. Biography: Hakan Vanli was born in March 1, 1963 in Ankara. After graduating from Hacettepe University, Hakan Vanli started his career with theatre. He took part in various theatre plays in State Theatres. He also worked as voiceover at various radio theatre plays and dubbing. Hakan Vanli also gave acting lessons at Duru Theatre. These are some of the theatre plays where Hakan Vanli took part: Cehov Makinesi, Lozan ne Dersin, Azizim Mufettis, Seyh Bedreddin, and so on.